Senior Iranian military official says the country plans to increase the range of its missiles and ammunition. Iran plans to increase the range of its missiles, a senior military official said Tuesday, according to Reuters. “One of our most important programs is increasing the range of missiles and ammunition,” said the head of the Iranian air force, Brigadier General Aziz Nasirzadeh, according to the semi-official Fars news agency. “We don’t see any limitations for ourselves in this field,” he stressed. Nasirzadeh did not give details on how far Iran would like to increase that range. Iranian Foreign Minister Mohammad Javad Zarif also defended his country’s missile program in a Twitter post on Tuesday, in which he said the UN Security Council resolution which endorsed the nuclear agreement did not ban Tehran from working on missiles. “Making a mockery of the UNSC won’t obscure failure to fulfill obligations & to hold US to account over non-compliance. Esp when even US admits that UNSCR2231 does NOT prohibit Iran’s deterrent capabilities. Rather than undermining 2231, better to work towards its adherence by all,” he wrote. The comments come three days after US Secretary of State Mike Pompeo said that Tehran had tested a new missile capable of carrying multiple warheads in violation of the 2015 nuclear agreement. 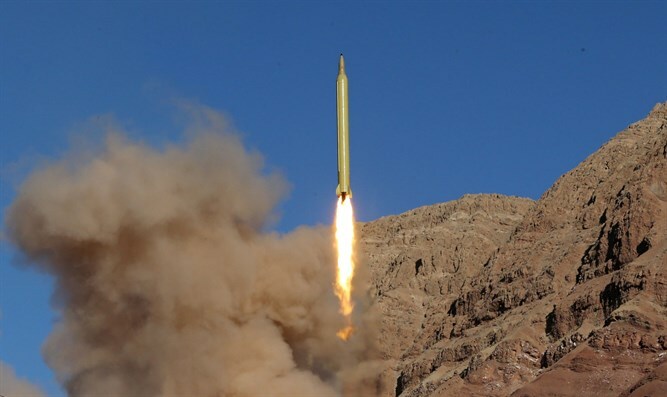 A day later, Iran made clear that it would continue its missile tests to build up its defenses and once again denied this was in breach of UN resolutions. When US President Donald Trump left the 2015 nuclear deal last May, he cited the agreement’s failure to deal with Iran’s ballistic missile program as one of the reasons for withdrawing. UN Security Council resolution 2231 enshrined Iran’s 2015 nuclear deal with Britain, China, France, Germany, Russia and the United States in which Tehran curbed its disputed uranium enrichment program in exchange for an end to international sanctions. Iran, however, denies its ballistic missile tests violate this resolution. President Hassan Rouhani has stressed that Iran will continue to produce missiles for its defense and does not consider that a violation of international agreements.